Quite often we fail to realize that the eyes of the kids in our children’s ministry are constantly glued on us and on what we do. For those whose parents are not saved we can be the only example they have of how a believer should act. This raises a question that we should all be asking ourselves: am I leading by example? There are many areas in our ministry where we can exhort our kids to do one thing, but we could be failing to live up to that exhortation. Telling others to do something while you do the opposite is called hypocrisy. There is no other term for this and it should not be the conduct of a child of God. As believers and servants in our ministries we should examine ourselves to see if there are continual instances where we might tell our kids to do something and yet we fail to do the same. Are we being hypocrites? A few examples of where we could be failing to lead by example. Priorities– It is important that we schedule the unimportant events in our lives around our ministry; NOT the other way around. 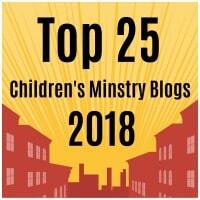 Do you give your churches children’s ministry priority? Or would you prefer to stay home and watch the game on t.v? We need to show our kids the importance of going to church. Evangelism And Outreach– When was the last time that you preached the gospel to someone who is not saved? When was the last time that you invited someone to your church? Memorization And Study Of Scripture– Superficially reading God’s Word is like going to a restaurant and walking out without eating your meal. When was the last time you spent time memorizing God’s Word? What was the last verse you memorized? When did you last study God’s Word and not just read it? Punctuality– What time do you arrive at church? Do you arrive early and make sure that your classroom is set up for when your kids arrive? Or are you running around like a headless chicken frantically setting things up? How can we encourage our kids to arrive on time if we are constantly arriving late? Exhortation– Do you tell your kids to have patience and you easily get frustrated? Do you exhort your kids to love one another and yet there is a brother in your congregation who you cannot stand? Before you ask your kids to apply Scriptural truth to their lives, you should be putting it into practice in your own. In our ministries we need to work hard to make sure we are leading our kids by example. Our words must match our actions. Always remember that you have little pairs of eyes watching what you do and what you say. This entry was posted in Articles, Leadership and tagged action, article, children, example, hypocrisy, hypocrite, lead, lead by example, leadership, words.